Miro Hoffmann is an emerging visual artist living and working in New Orleans, La. 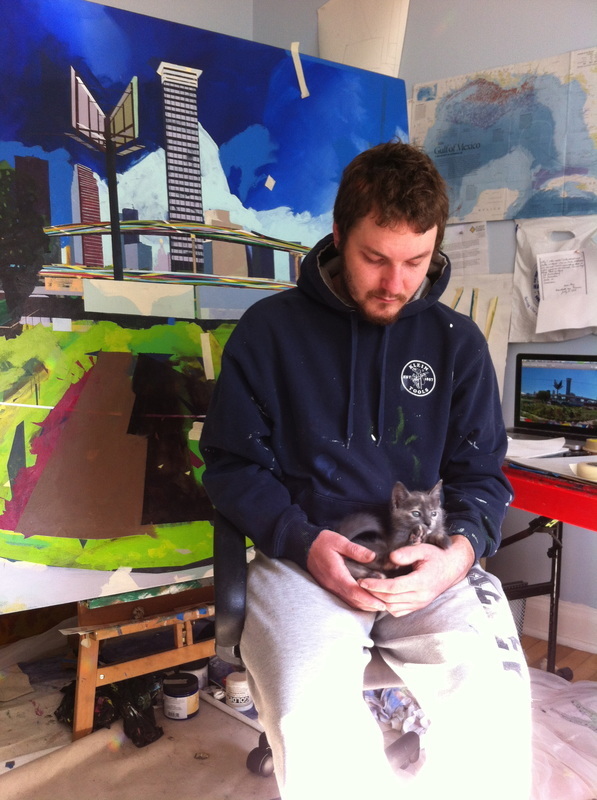 Hoffmann graduated from NOCCA Riverfront in 2009 and left the city to attend School of the Museum of Fine Arts and Tufts University, earning a BFA in 2013. Since then Hoffmann has moved back to NOLA to appreciate, learn, and grow from the richness of culture, food, music, and art that keeps his creativity flowing strong. Hoffmann was a 2015 artist in residence at The Joan Mitchell Center in New Orleans. "This body of work explores the rise of urban farming in post-Katrina New Orleans, investigating the history of landscape painting, while grounded in larger issues around climate change, resilience, breaking racial, social, economic boundaries, food deserts, and self-sustainability. I draw from personal experiences as well as historical references that thread together painting, light, film, architecture, and sculpture."